Ancient theaters are magical. They somehow have a narrative power. Immediately one thinks of small dramas and big fights, of opera singers and gladiators. 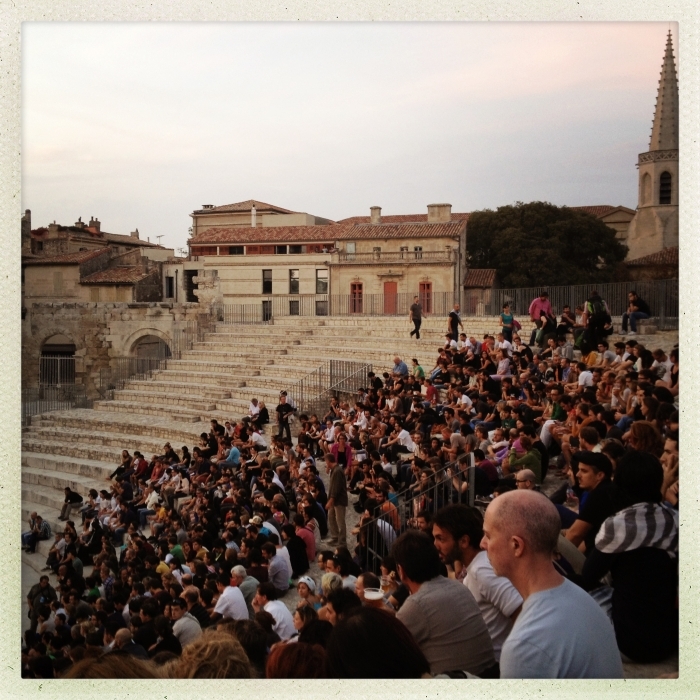 The Théâtre Antique in Arles, a small town on the edge of the Western Provence is one of those arenas. And yet it has always been in the shadow of a much more magnificent amphitheatre, not 50 yards away. Nevertheless, for their last year world tour the Icelandic band Sigur Rós decided for the smaller brother. So on a warm late summer evening I went to a concert that somehow made the place even more magicical than it already was anyway.